Since the times of the First Republic we have been sewing exclusively in Czech workshops - the hands of the Czech tailor are made of gold and we stand for it! Why choose us to make a tailored suit for you? 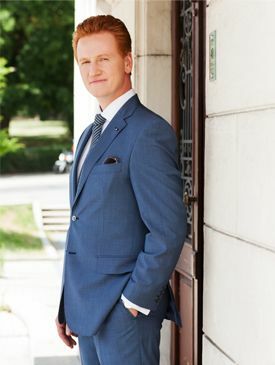 We are the largest manufacturer of tailored men's suits in the Czech Republic. We have been sewing with passion since 1931. We are devoted to our job and use the highest-quality materials. The fabrics we use come from renowned manufacturers from France, Italy and United Kingdom. We pamper the customer as much as we can! 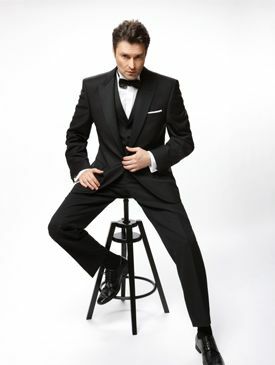 We are also experts in making tuxedos and men's dress suits! 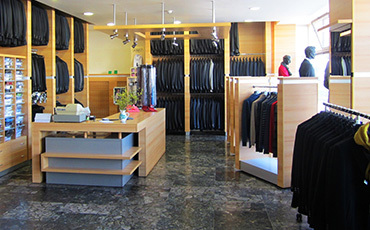 We make perfectly fitting suits based on the customers' ideas and wishes. Choose the shape, material, colour of lining and thread, do not hesitate to add details such as initials and so on. Then let us select the ideal accessories and here comes the perfect outfit! We will keep your measurements carefully in our system - next time you only select the materials, colours, what event you want the suit for ... and we have already started sewing! We will then deliver you a tailored suit just for you to make your life easier. 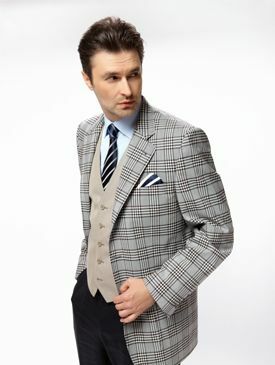 How and where to get a tailored suit? Are you from Prague or live near? 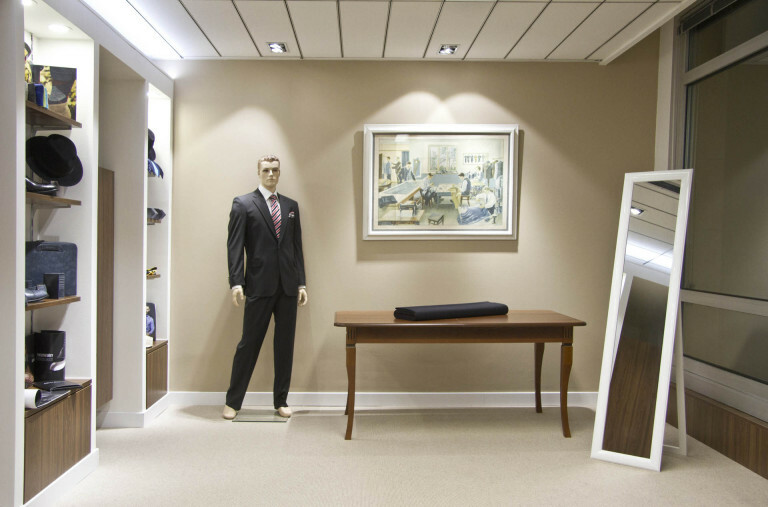 We will be happy to take your measurements in our men's tailor shop at the International Business Centre in the centre of Prague. We specialize in tailored men's suits, shirts and shoes! 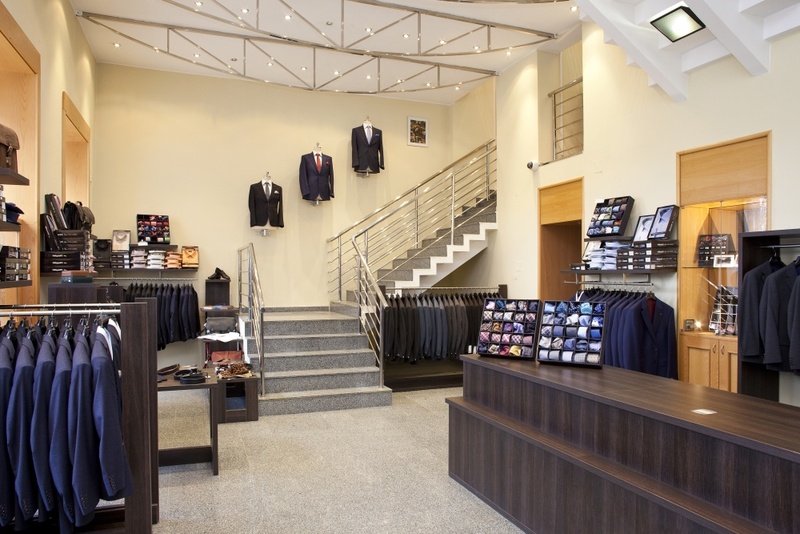 Visit our store where we can proudly offer you a wide range of tailored men's suits and accessories. You will not leave empty-handed! We will dress you up in Brno too. If the ready-to-wear clothes from our collection do not fit you or you wish for something completely genuine, use the services of our tailors. Come visit us and make yourself happy! The price of men's tailored suits depends on the choice of materials used. The basic price of a tailored suit (jacket and trousers) is CZK 12,990.